In the seeming tranquility of Regency Square in Cheltenham live the diverse inhabitants of its ten houses. One summer's evening, the square's rivalries and allegiances are disrupted by a sudden and unusual death - an arrow to the head, shot through an open window at no. 6. Unfortunately for the murderer, an invitation to visit had just been sent by the crime writer Aldous Barnet, staying with his sister at no. 8, to his friend Superintendent Meredith. Three days after his arrival, Meredith finds himself investigating the shocking murder two doors down. 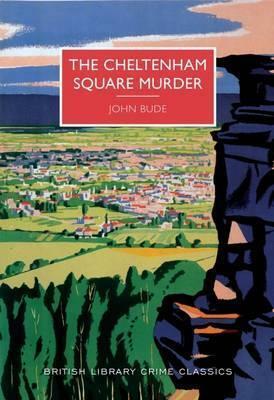 Six of the square's inhabitants are keen members of the Wellington Archery Club, but if Meredith and Long thought that the case was going to be easy to solve, they were wrong...The Cheltenham Square Murder is a classic example of how John Bude builds a drama within a very specific location. Here the Regency splendour of Cheltenham provides the perfect setting for a story in which appearances are certainly deceiving.